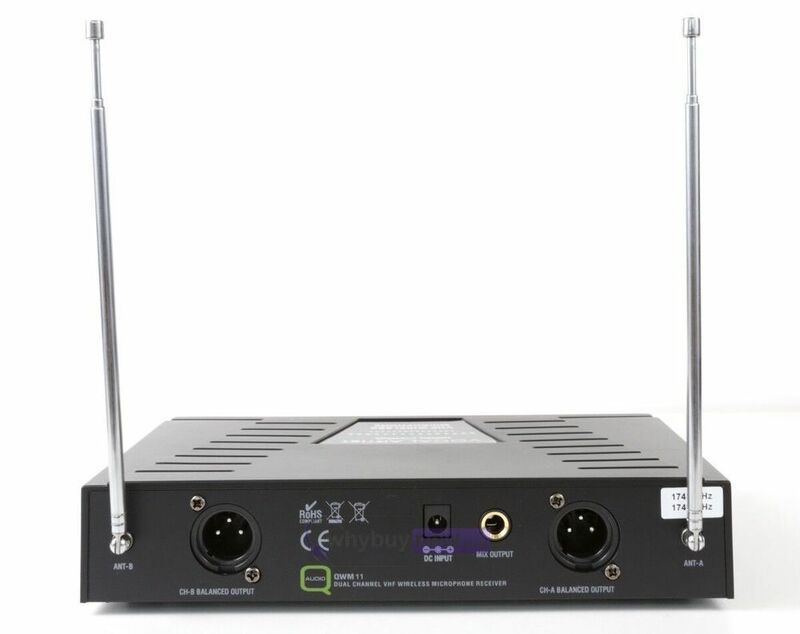 This great sounding, outstanding value Q-Audio QWM-11 is the perfect wireless dual twin Mic System for those on a budget. 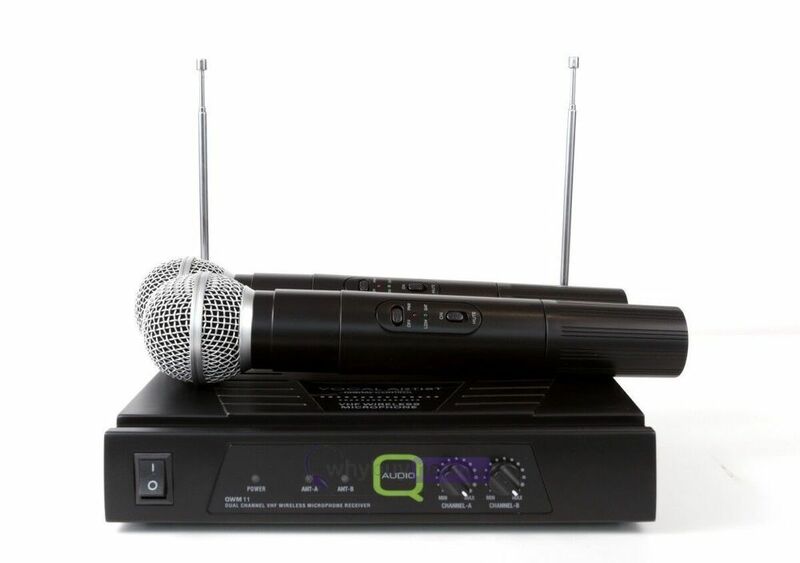 The Q-Audio QWM-11 is the ideal VHF microphone dual mic System, complete with two handheld microphones and a receiver. 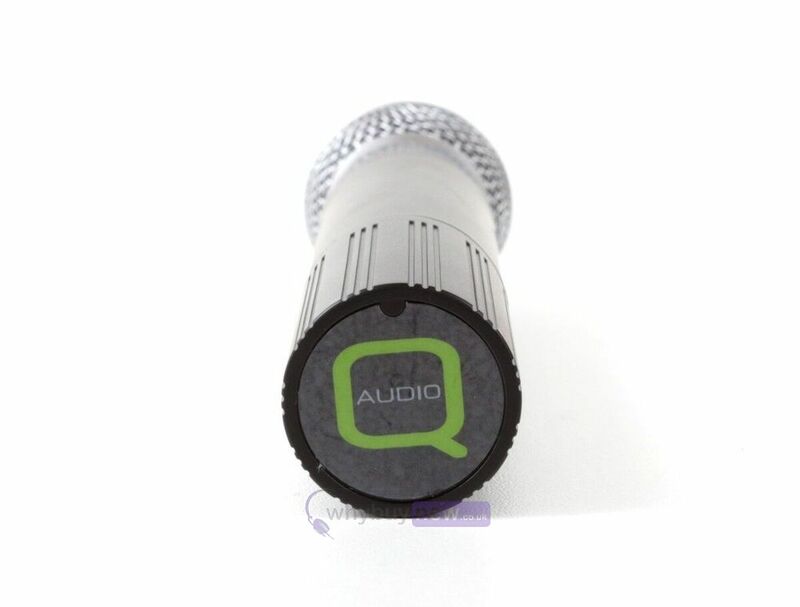 You can connect the Q-Audio QWM 11 twin handheld mic system into your DJ or PA setup using balanced XLRs or an unbalanced normal 1/4" mono Jack output. 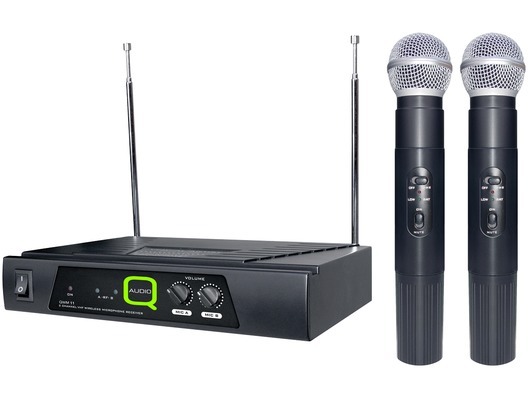 Each mic has a range of up to 50m, making them the ideal choice for speeches, karaoke, presentations, DJ's and more. 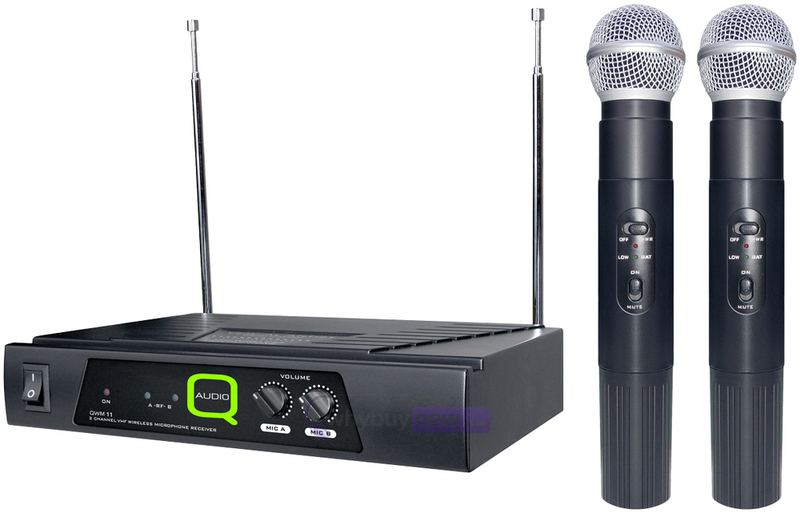 Here we have the Q-Audio QWM 11 Dual Channel VHF Twin Microphone System in brand new condition and in B-Stock. The B-Stock versions (174.1 - 174/5MHz) would have been on display at a training evening or trade exhibition only and will come boxed in great cosmetic condition with all accessories (apart from the batteries) and a 1-year warranty. WOW. They say in life you get what you pay for. Well this is not the case with these. They feel expensive look great and work very very well. If your after two mics for weddings or general use then these are the ones for you.